Mikel Villanueva, born on 14th April 1993 in San Cristóbal (Táchira), has been called-up by Venezuela coach, Noel Sanvicente for the forthcoming friendly against Costa Rica on 2nd February in the city of Barinas (Venezuela). The defender tells the media: “It’s a huge honour for me to wear this shirt and give my all, so I hope I have a chance to play. The match is taking place near my city so I’m thrilled, I hope all goes well,” affirms the young 22-year old centre-forward. The match is not held during the FIFA calendar, so it’s a good opportunity for the young players to debut with their national team and try to find their place on the ‘Vinotinto’ squad. Mikel joined the ‘Malaguista’ reserve team last summer from ACD Lara (Venezuela’s First Division). 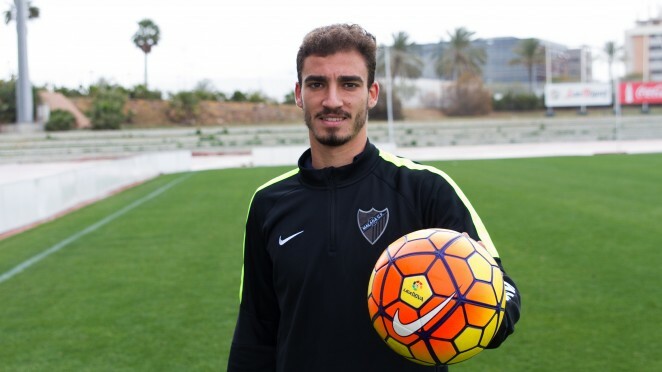 The footballer plays as a centre-forward and is a regular fixture in Manel Ruano’s starting-11. Also this season he’s taken part in numerous training sessions with the first team. “I’m learning more every time I join the first team in training, and I grow a little more each day. My dream is to move up to the first team and earn a place with Málaga, so I hope it happens,” comments Mikel Villanueva.